all admission fees, guide service all the way through, airport pick up, all domestic transportation. 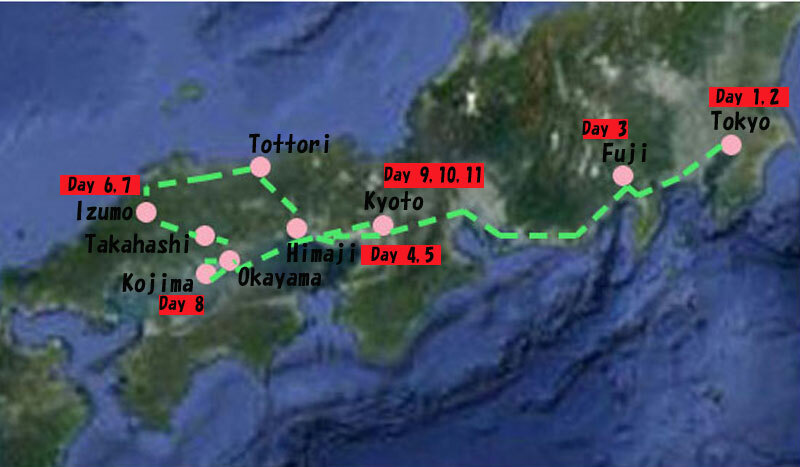 (the tour ends at the hotel in Kyoto). 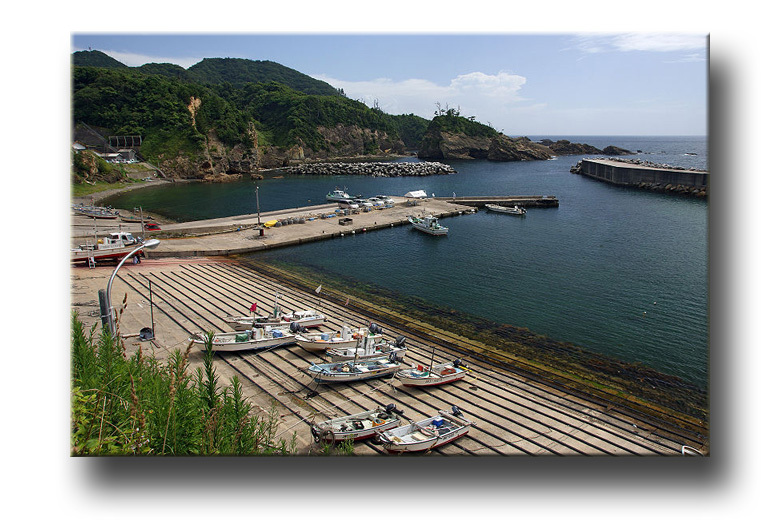 -The main focus of this tour is on the Japanese countryside. 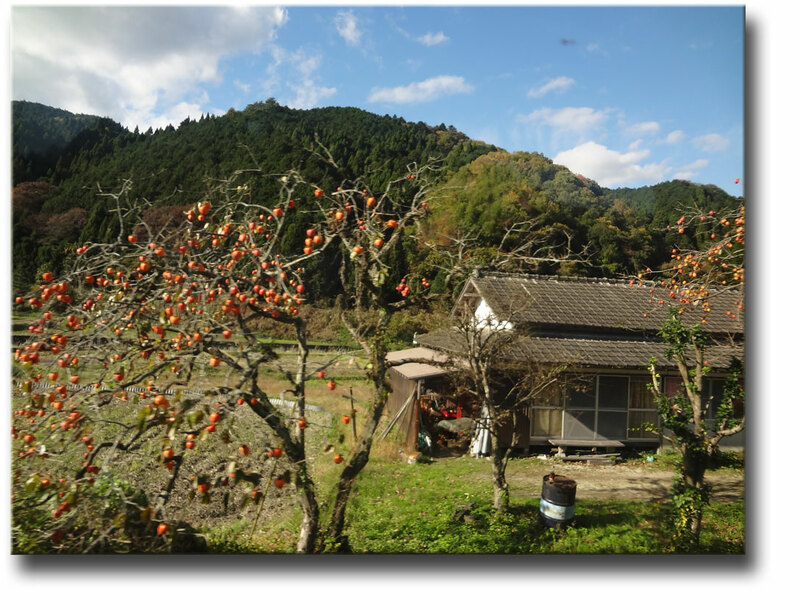 The rural Japan is glorious, which stands in stark contrast to the heavily congested cities and towns that are strung together on the Pacific Corridor between Tokyo and Hiroshima. 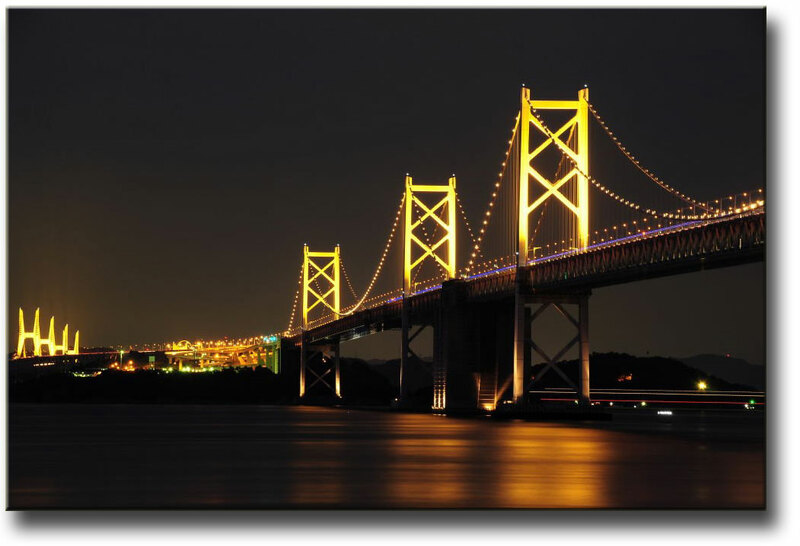 - Enjoy one of the most iconic landmarks in Japan, Mt. Fuji, which has been revered by the people. Stay at a luxurious hotel overlooking both the lake and mountain. The scenery out of the hotel window is just ethereal. 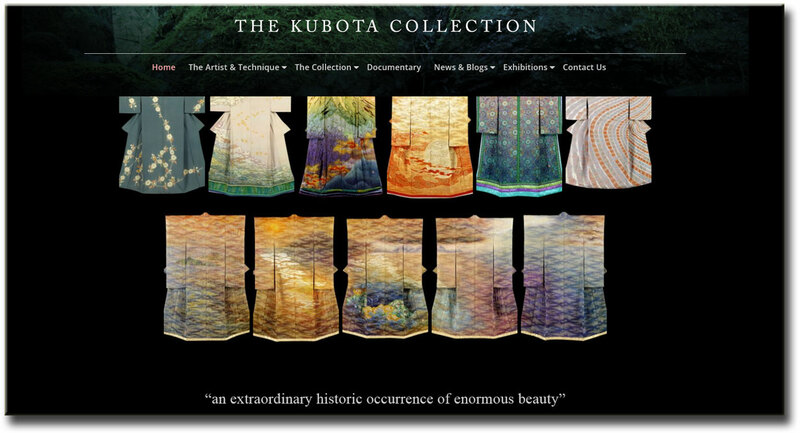 Visit a museum dedicated to the late Kubota Icchiku who was a master in dying on silk fabric. 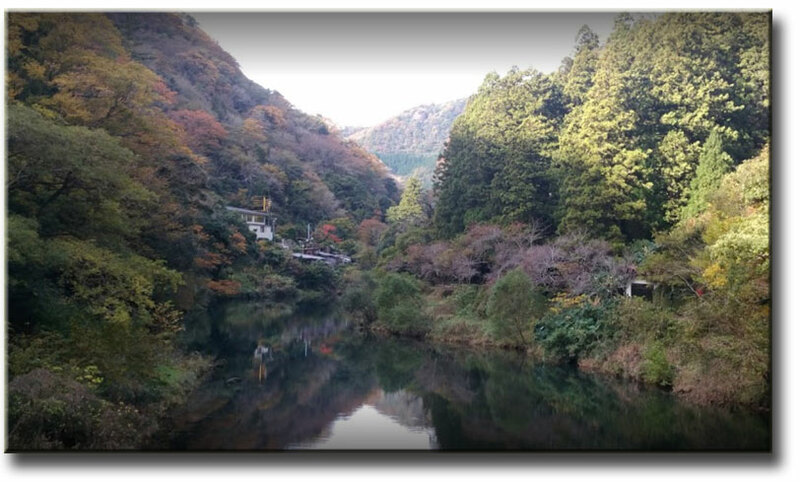 - Steep in authentic Japanese way of life by staying 2 consecutive nights (Day 6,7) at a hidden Japanese inn (ryokan) tucked into a valley in a reclusive calm. 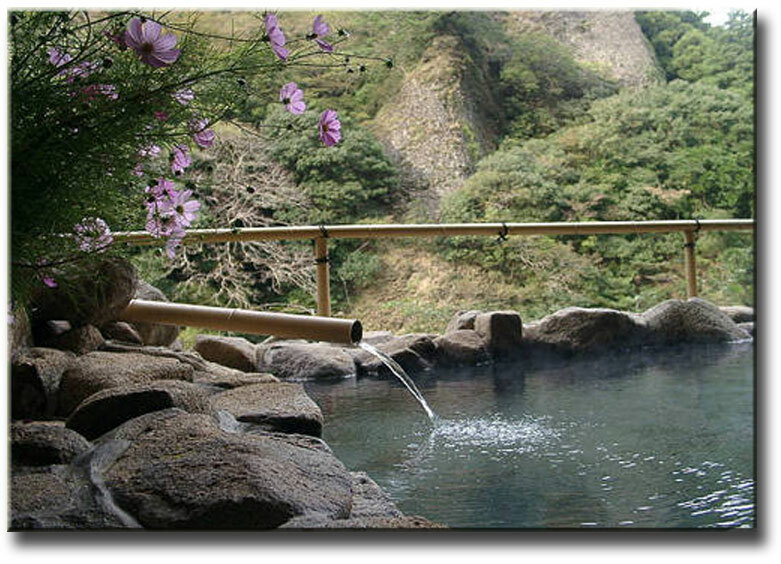 Enjoy exquisite Japanese cuisine and taking a soak in indoor and outdoor hot spring baths. 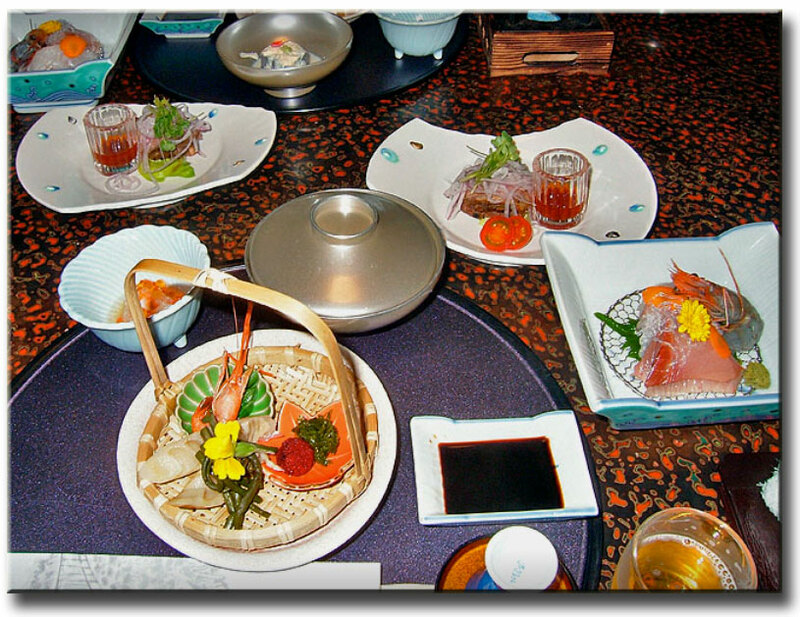 Slip on yukaya (a simplified kimono) for dinner in a private Japanese room. 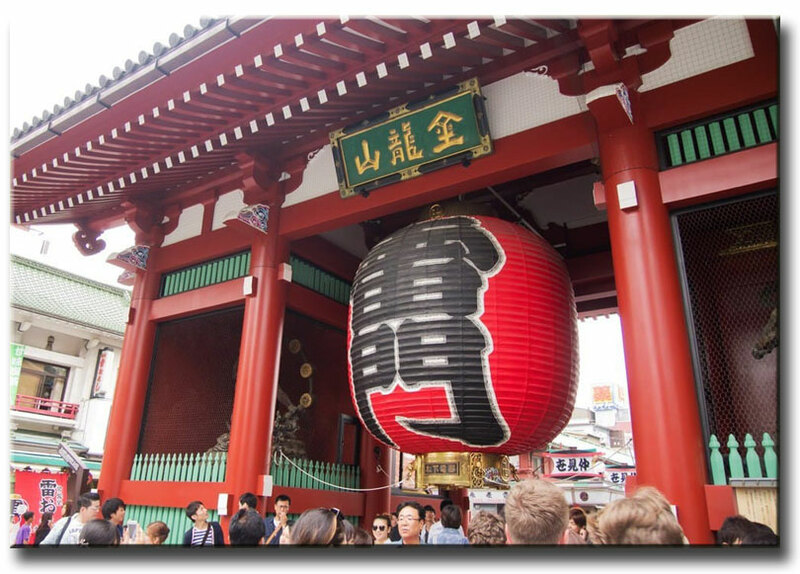 -Stay right in the middle of Asakusa district in Tokyo with an excellent access to Sensoji Temple and vibrant Tokyo downtown ambience. 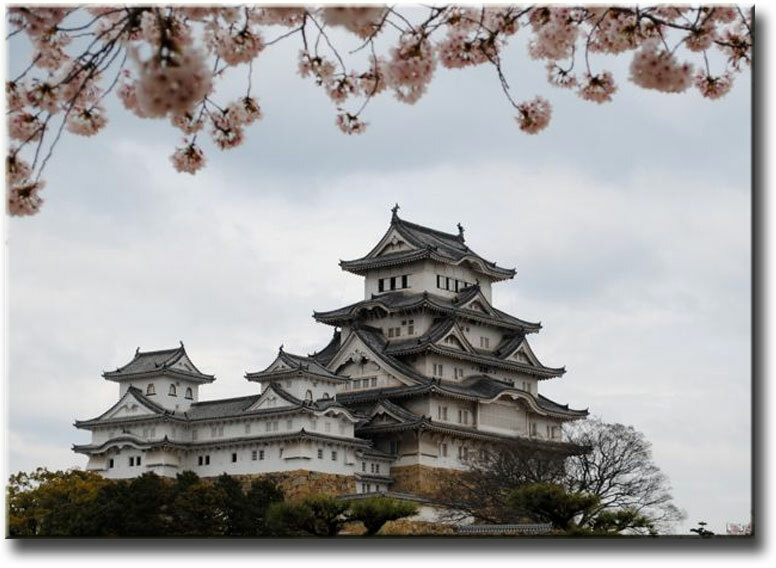 -Savor Japanese architectural finesse at Himeji Castle and Japanese gardens nexxt to it. 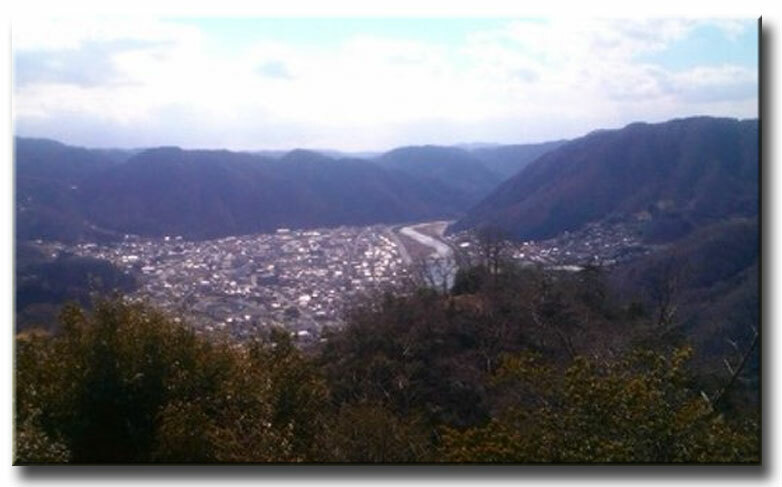 -Walk up to Matsuyama Casle and enjoy a birds-eye view of a lovely town down below. 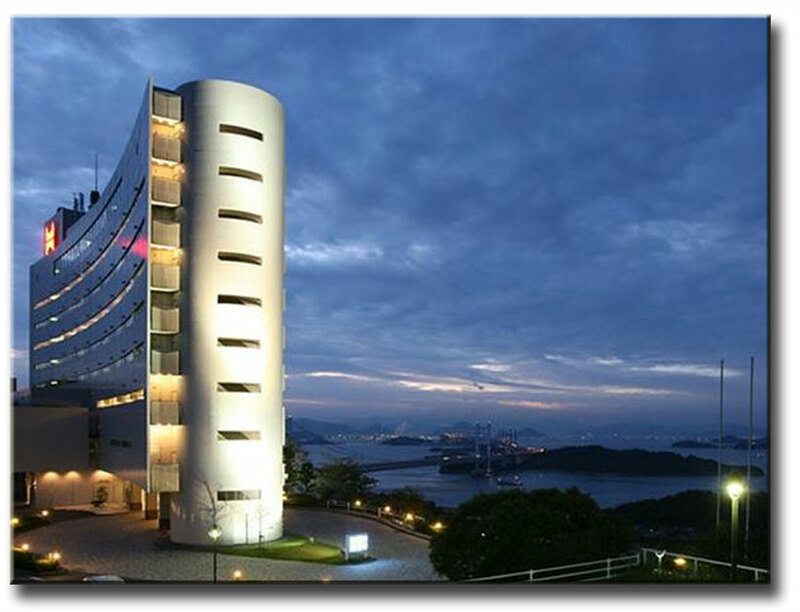 -Stay at a classy hotel perched on a cliff overlooking the Inland Sea. 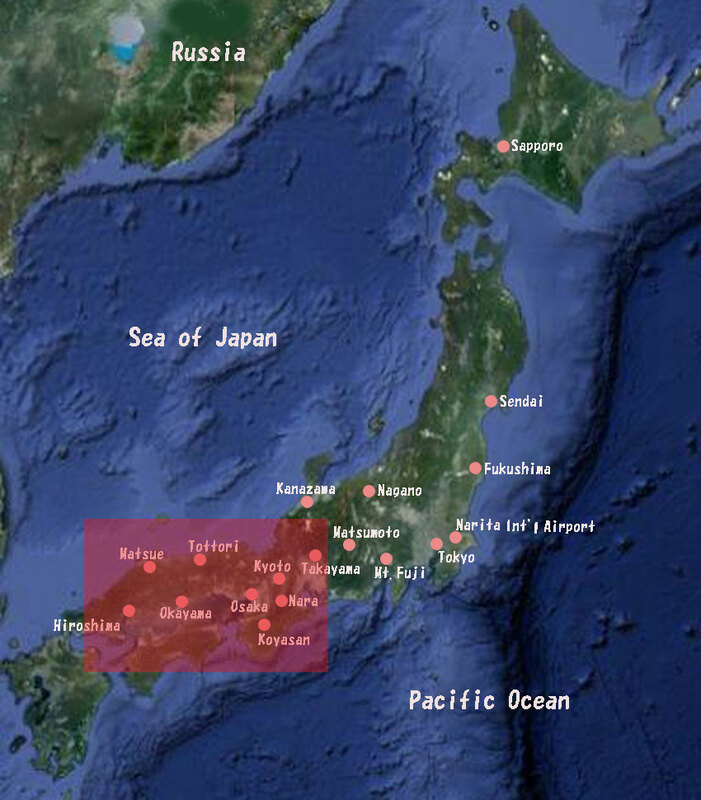 Note : The tour starts in Tokyo and ends in Kyoto and the proximate int'l airport to Kyoto is Kansai International Airport. 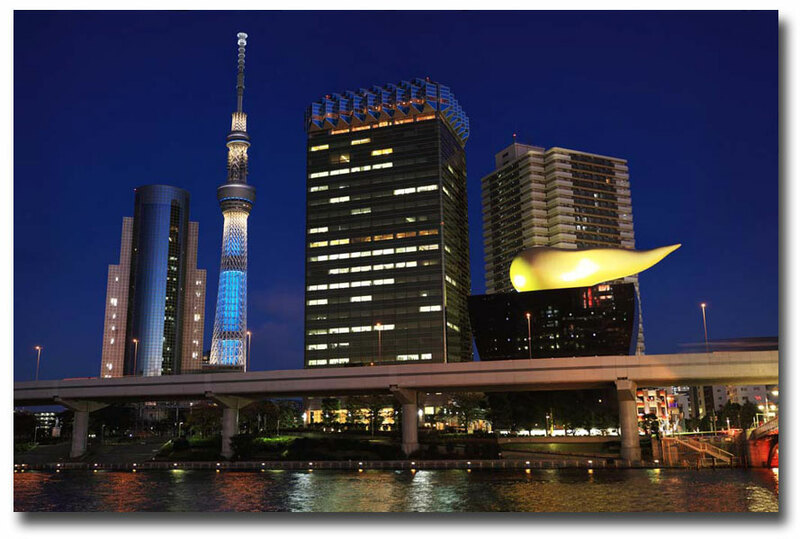 It is best if you can fly into Japan via Narita (Tokyo) airport and then depart via Kansai (Osaka) airport. Using this route (or the reverse) will save you half a day of travel and potentially significant savings on train or air fair. Proceed to the district called Lakes & Mt. Fuji. 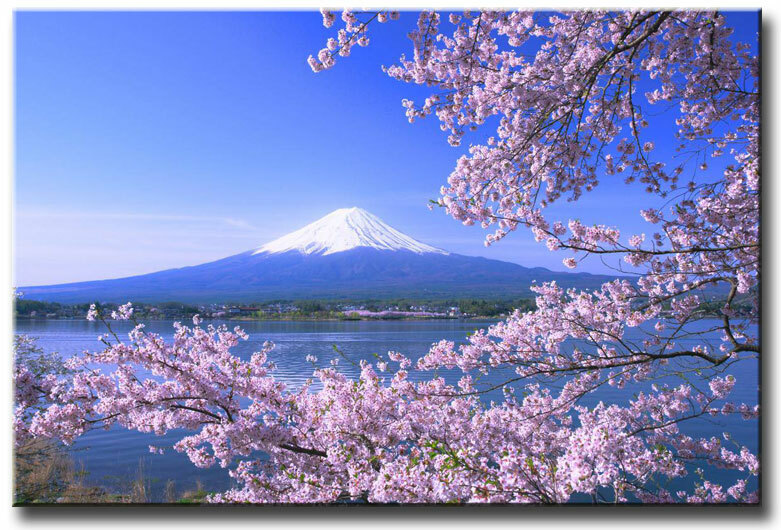 Fuji has been revered by many Japanese since the ancient days. It stands for values that are sublime and sacred. It erupted in 1703 for the last time and it has been dormant since then. 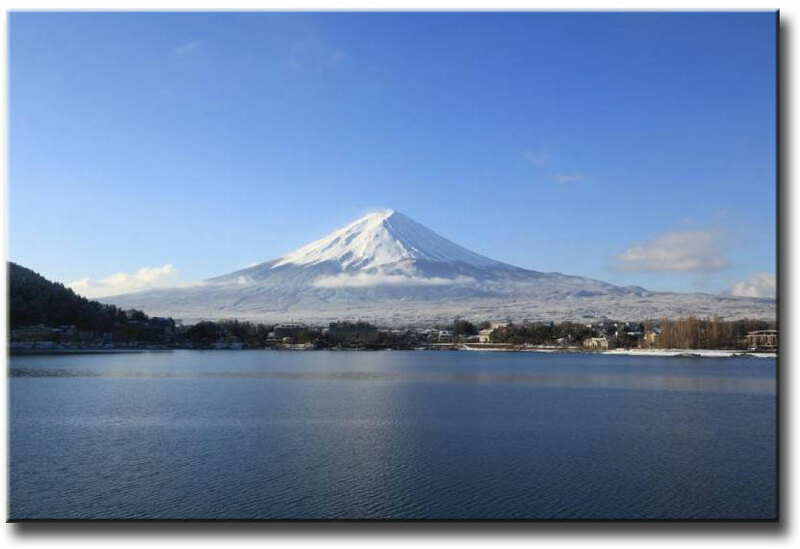 There used to be a large lake at the foot of Fuji, which was dammed by the volcanic lava in the prehistoric days, creating five lakes. We stay at a luxurious hotel close to the shore of Kakwaguchiko Lake. The perfect cone-shaped mountain was almost awe-inspiring, making one wonder if it was created by God. 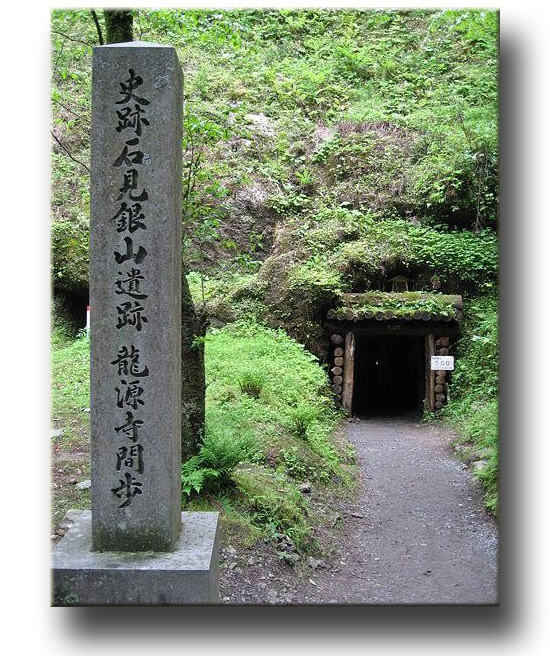 In fact, Fuji means "Goddes of Fire" by the aborigines called Ainu. Having had the right amount of viscosity of erupting lava is the secret behind this holy mountain. Head for Himeji by bullet train. 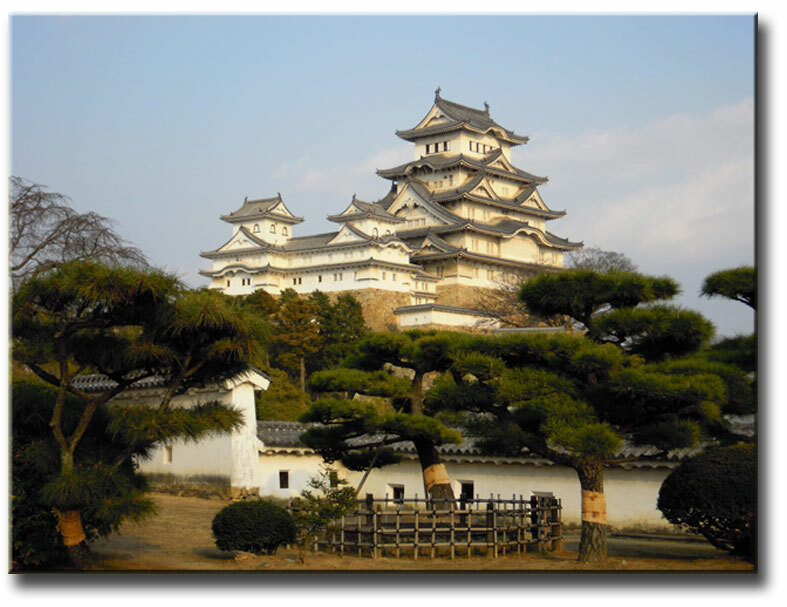 Himeji is a regional city and keeps a national treasure and UNESCO cultural site, Himeji Castle, which is often called White Heron Castle. This castle is one of the 12 castles that are original. 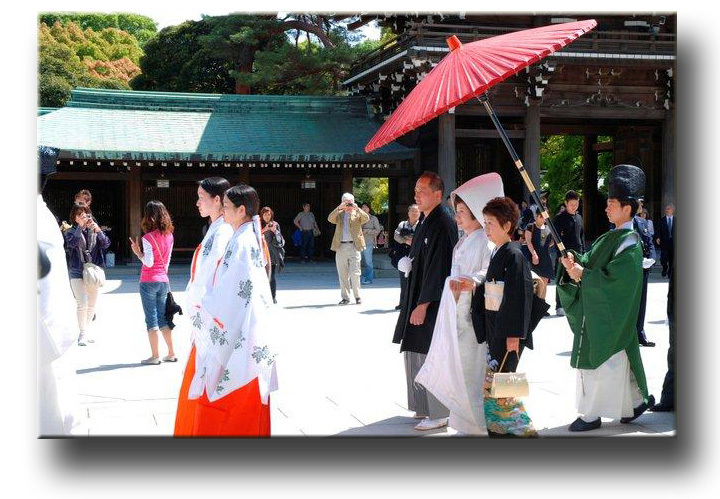 At the peak of Japan's feudal system of 1700s, Japan boasted more than 200 castes across the nation. 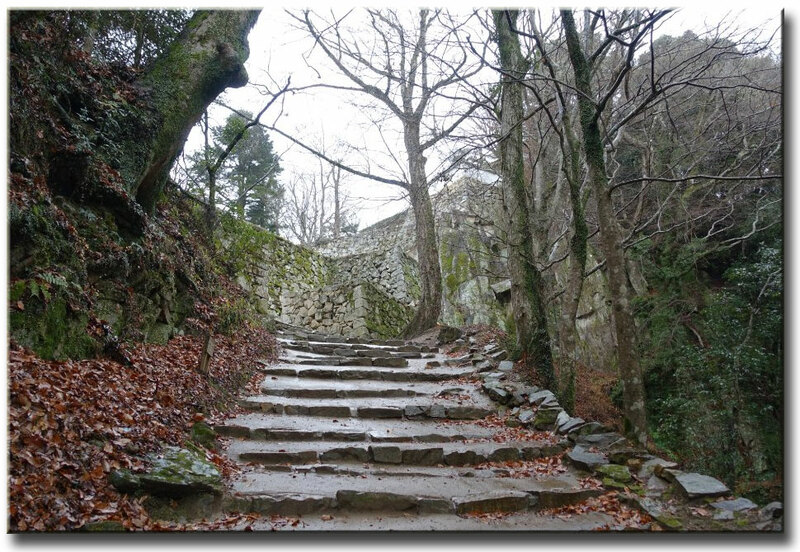 But, the modern era Japanese governments systematically destroyed castles one after another, believing they represented something outdated or much worse, nuisance that had to be discarded. 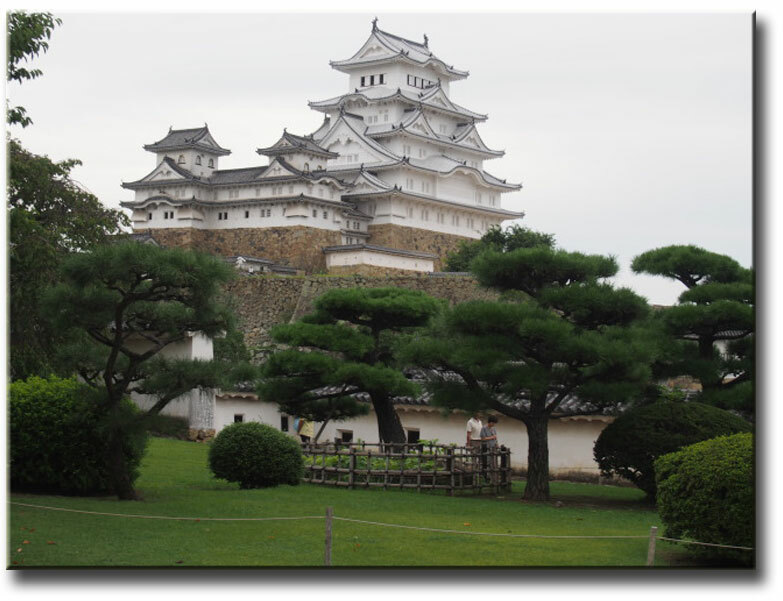 The Himeji castle is the culmination of the pride of, and identity as, the Japanese. 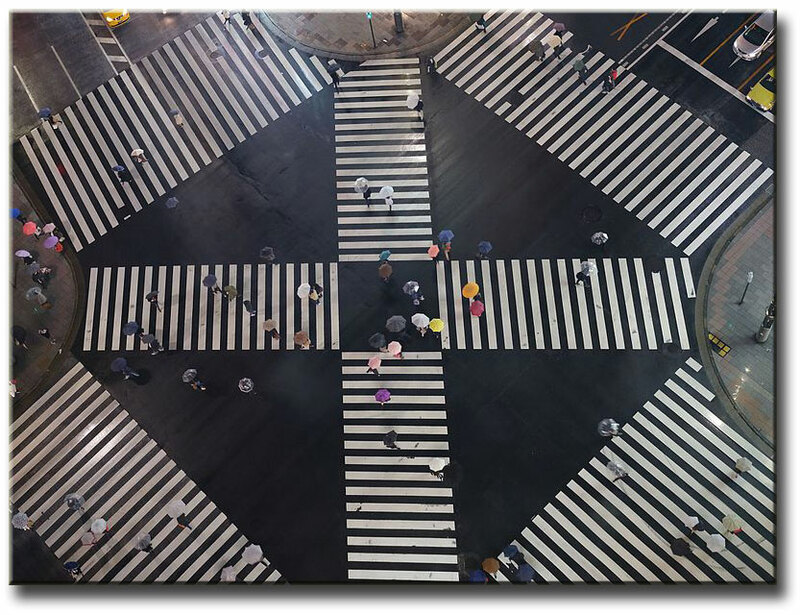 You not only catch on to the ethos of the Japanese belief system, which is often said to have been derived from Samurai warrior culture, but also architecture and small details that Japanese are skilled at. 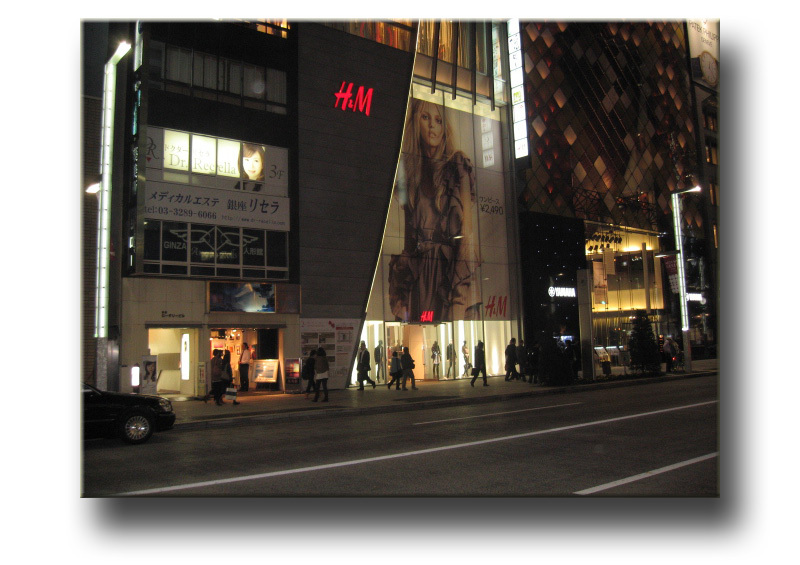 The masterpiece film "Last Samurai" was shot in this city. Samurai houses used to be standing at this site before 1992 when this magnifiscent garden was laid out. 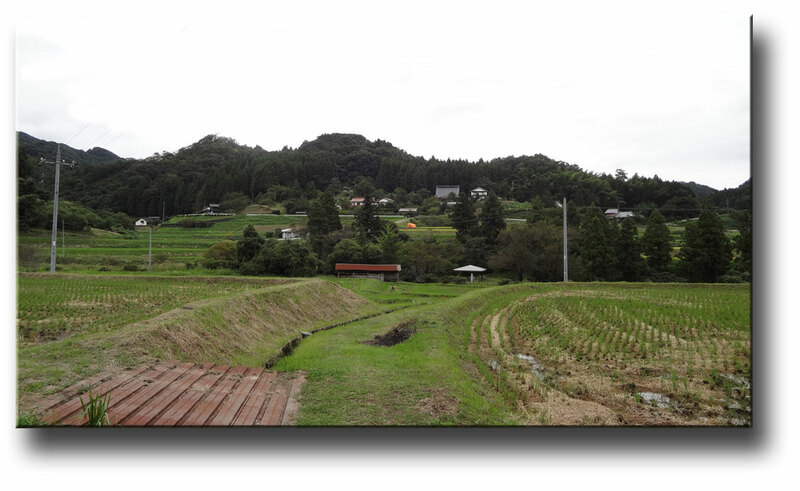 This is typical of Japanese stroll type of gardening, which developed in the late 1500s. By express train, travel to Tottori, which is the first leg of the trip today. 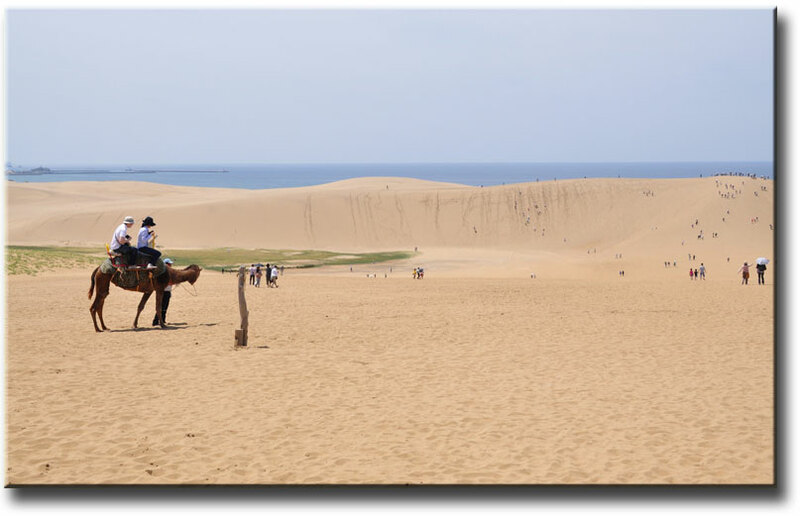 Tottori Sanddunes is the main draw in this region and most extensive of all the sanddunes in Japan. From a mound right in the middle, we overlook the Sea of Japan extending in all directions. In the afternoon, we take off for Izumo by express train. 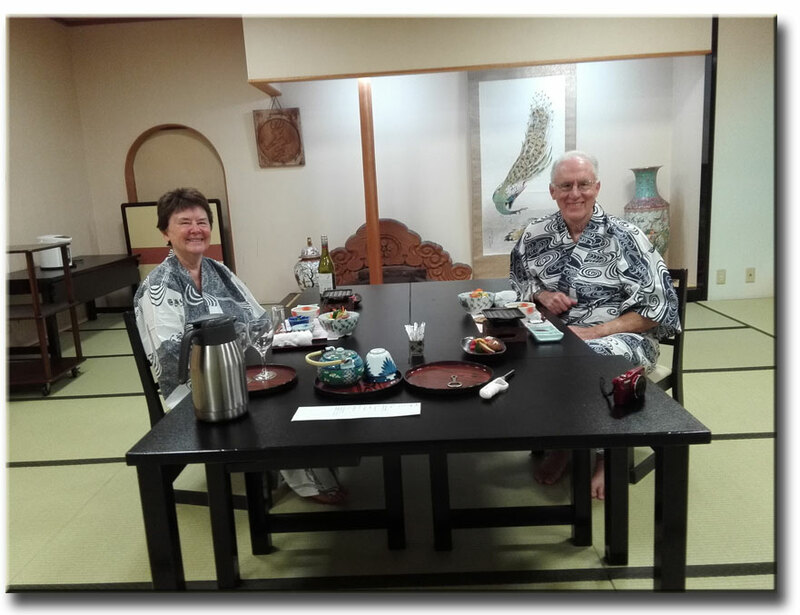 This evening, you get a flavor of what it is like to experience an authentic Japanese life by taking a soak in hot spring baths and slippig on a yukata to enjoy delicious Japanese cuisine. 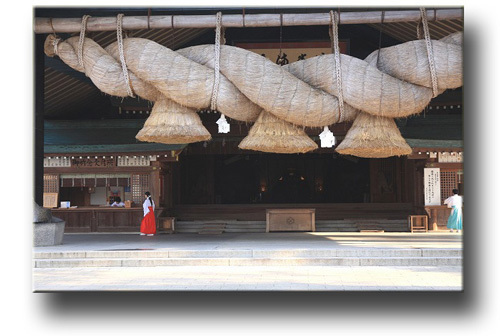 We visit Izumo Grand Shrine first thing in the morning. 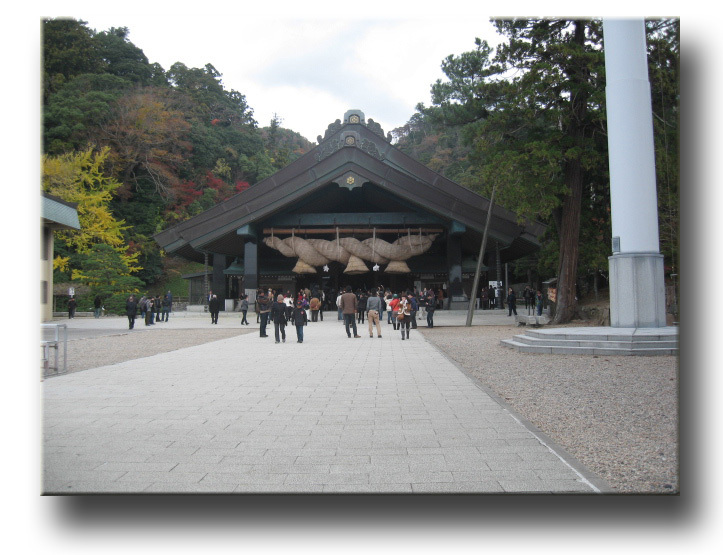 The shrine was founded as early as 600s and has been shrouded by mythology ever since. 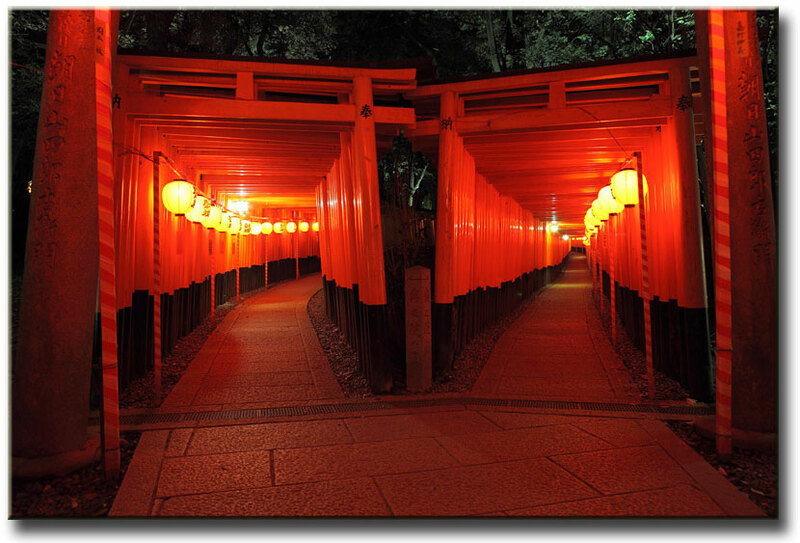 It is known that the deity of this shrine is related to Imperial bloodline and has been held in high regard by the Japanese populace. 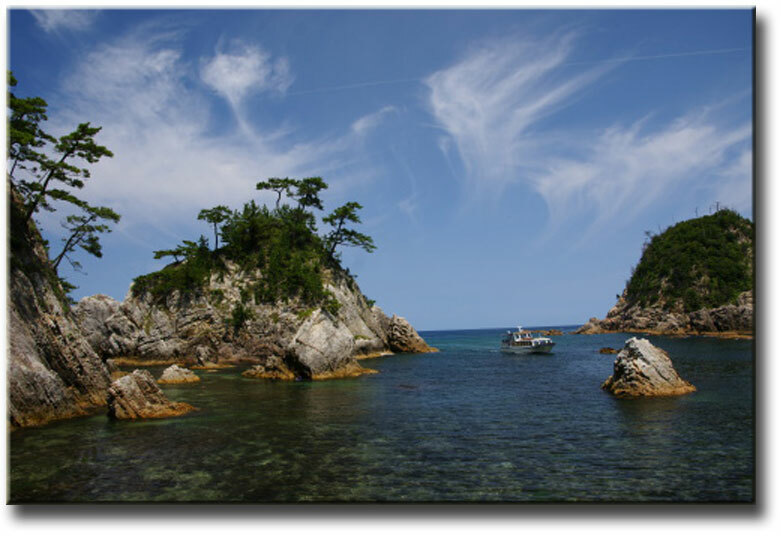 We proceed to Hinomisaki Cape, a truly picturesque site with light house and small, lonely fishing village. We take a leisurely walk on a trail hugging along the Sea of Japan. 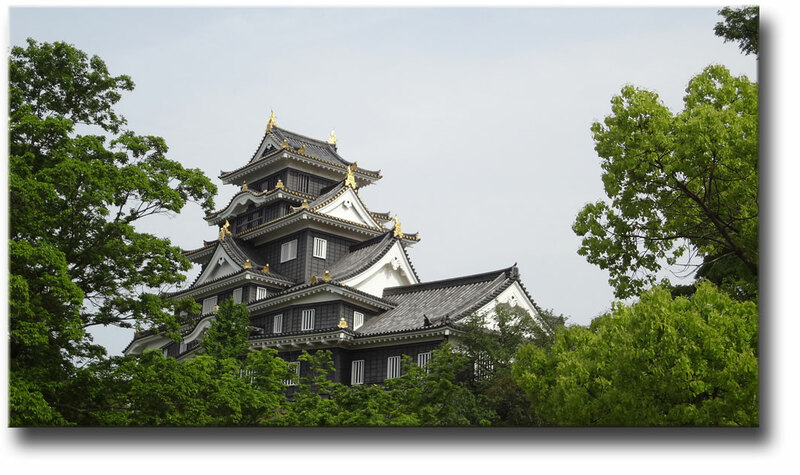 Today we head for Indand Sea coast by express train with a sidetrip at Bicchu Takahashi to climb to Bicchu-Matsuyama castle, which stands at the highest elevation among all the castles in Japan. Our accommodation today is a hotel perched on a cliff looking out over the Inland Sea. You take in unbelievable scenery of the Inland Sea out of your hotel room. 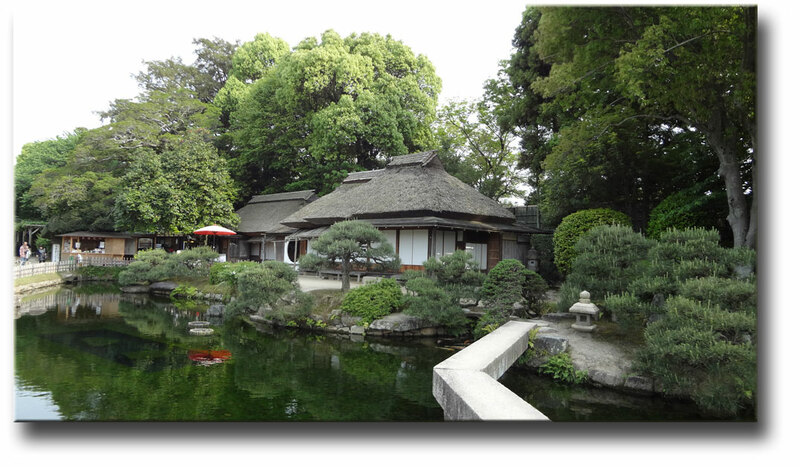 On our way to Kyoto, stop in at Okayama Korakuen Garden(one of the three finest gardens in Japan). Kyoto used to be the capital of Japan for about 1,000 years until Tokyo was selected as the new capital when the country grew out of samurai rule to modern Japan in 1868. 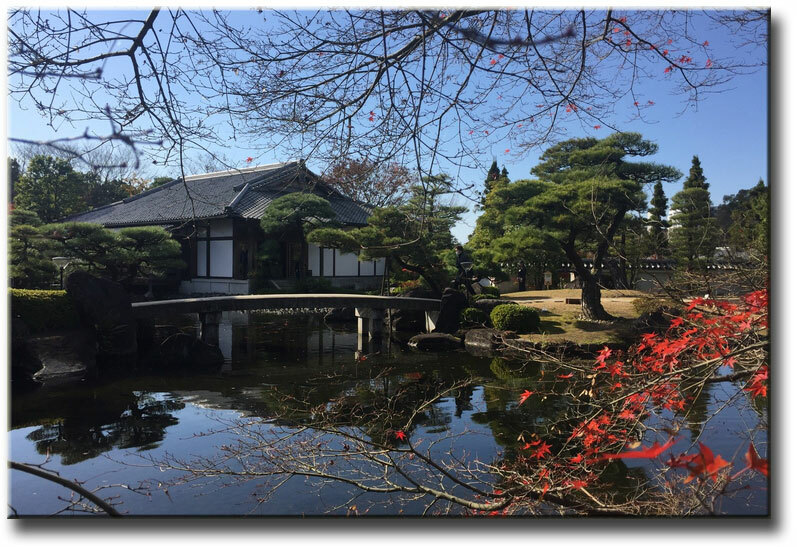 Kyoto is a facinating city in that it is a grand repository of ancient Japan which blends quite nicely with a modern, western facade of the landscape. In late afternoon, explore the downtown Kyoto. 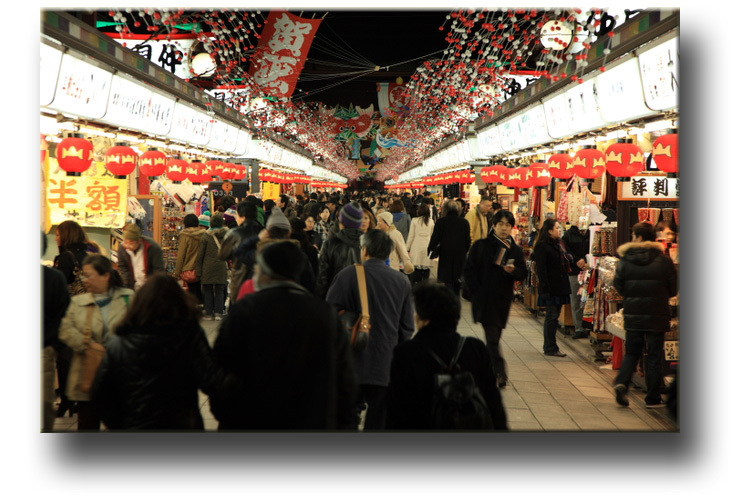 The main attraction is Nishiki-cho food market, which is a 400m narrow lane lined with stores selling all kinds of food items for dinner. 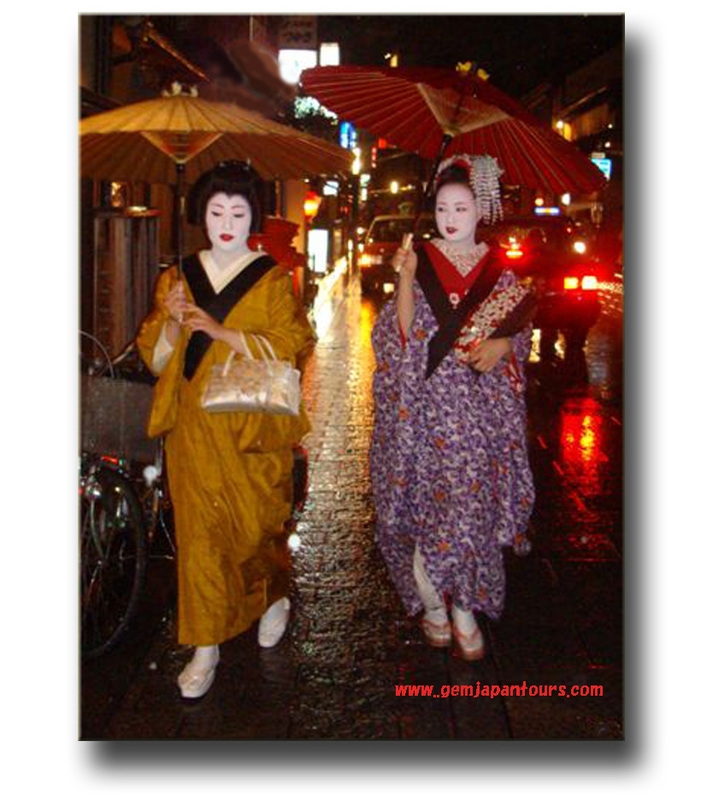 In the evening, go out and explore a district called Gion, well-known for Geisha. 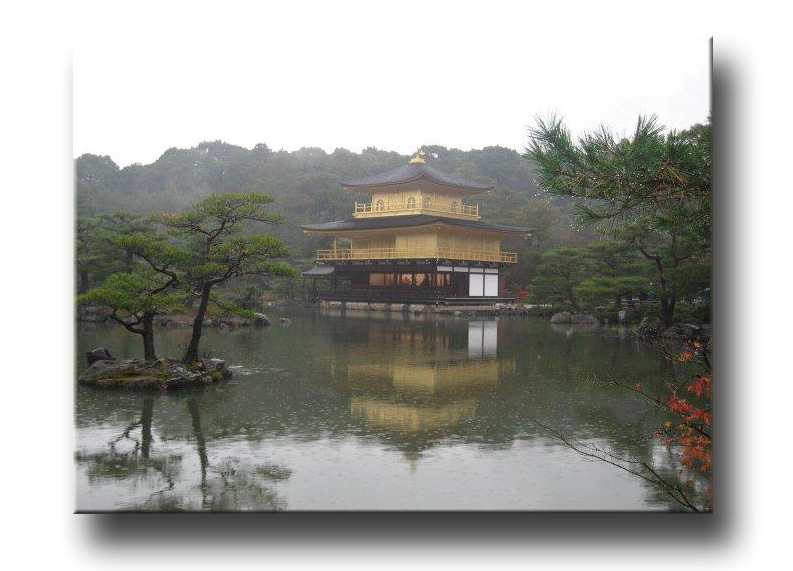 In the morning, explore the western part of Kyoto including Golden Pavilion, famed for its magnificent archtectural finesse. Our second visit for today is Fushimi Inari Taisha or what we Japanese casually call Fox Shrine (inumerous number of red torii gates strung together all the way up to the summit of a small hill). The rest of the day is left free. Kofukuji is the oldest temple in Nara, the foundation of which dates all the way back to 710. Today, reconstruction work is underway to repair damages wreaked through a long history of Nara. 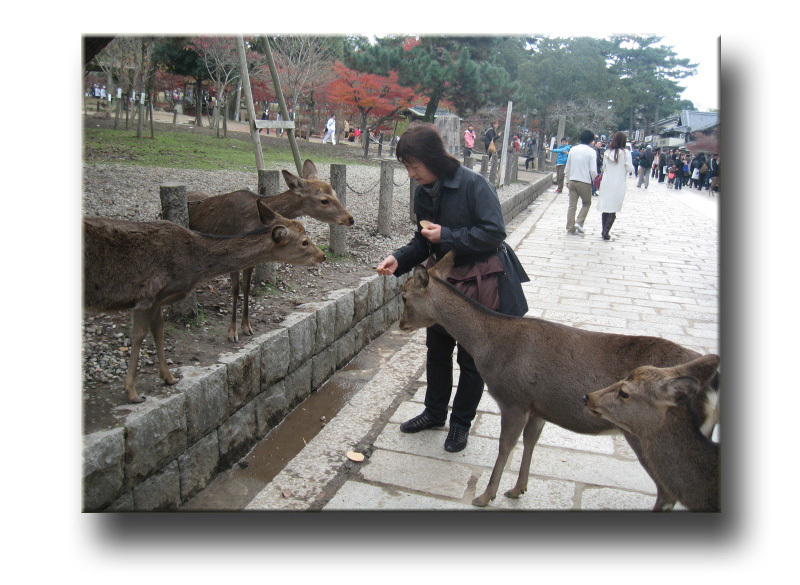 It is enjoyable to feed rice crackers to deer roaming freely around the park. 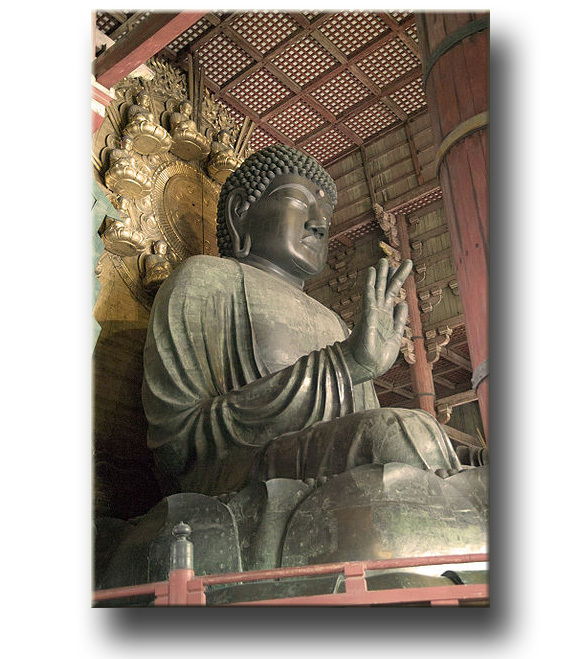 a huge image of Buddha. Though it was destroyed many times by fire, civil war, and so forth, the image stands solemnly in the largest wooden structure in the entire world. Tour ends. Sayonara! Looking forward to making a reunion soon!